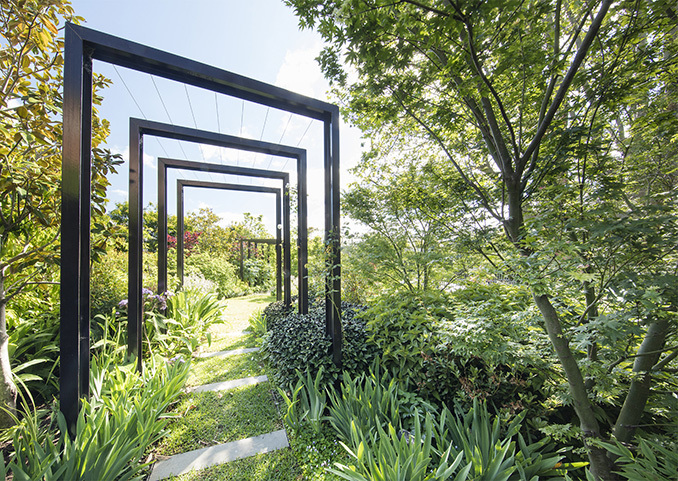 The Towers Road garden fosters a ‘sense of embrace’—a poetic garden of ‘structured chaos’. This has emerged via a collaborative journey with Architect and client. 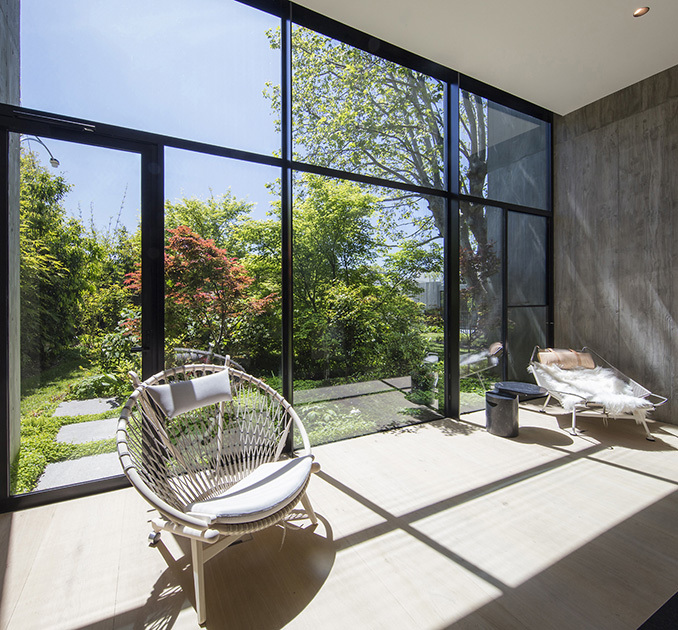 This relationship with client and architect opened up possibilities of what a garden could become. 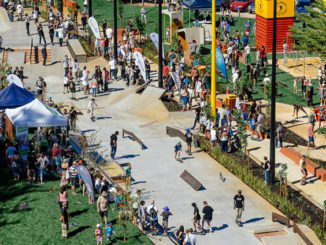 It also allowed TCL to revel in composing, layering and patterning plants and other garden materials to create a sensory, aesthetic and immersive environment; one that is enhanced with ongoing care and cultivation. 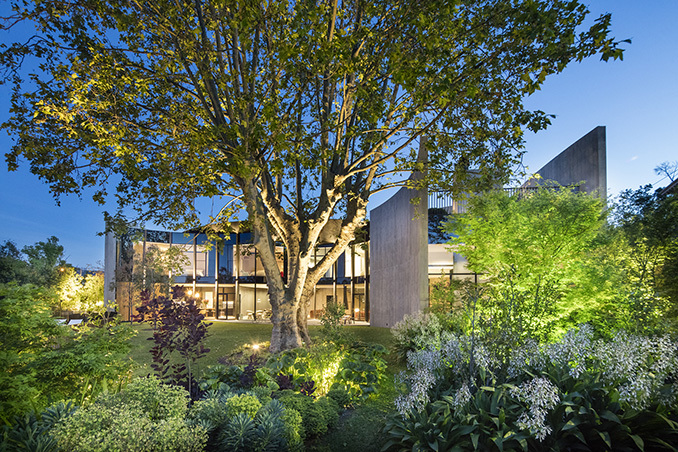 Like many of TCL’s gardens The Towers Road Residence in Toorak, designed by architects Woods Marsh, employs an understanding of cultural and environmental history, garden design principles and horticultural practice. Inspired by natural processes it exhibits a tension between order, juxtaposed with fluidity and randomness; an interplay of strong form and diversity. 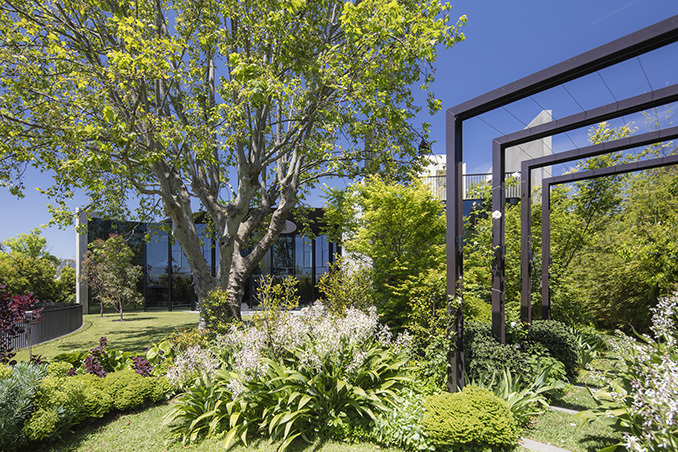 The garden respected the sculptural architecture whilst creating a garden of lush and luxury escape. 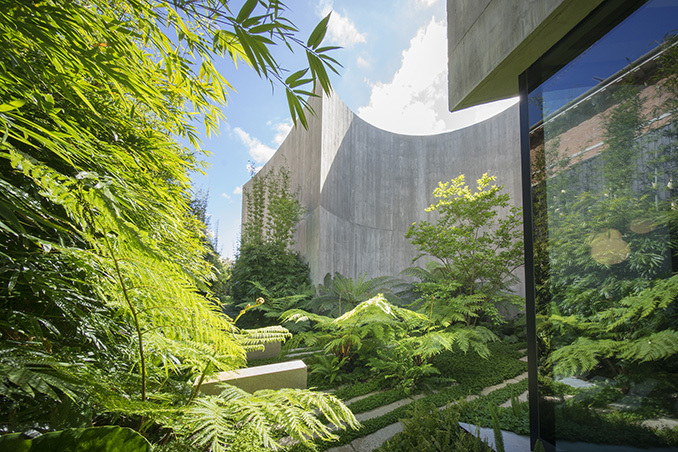 The verdant, diverse and textured forms of the garden provide a contrast to the muscular architecture of the building. 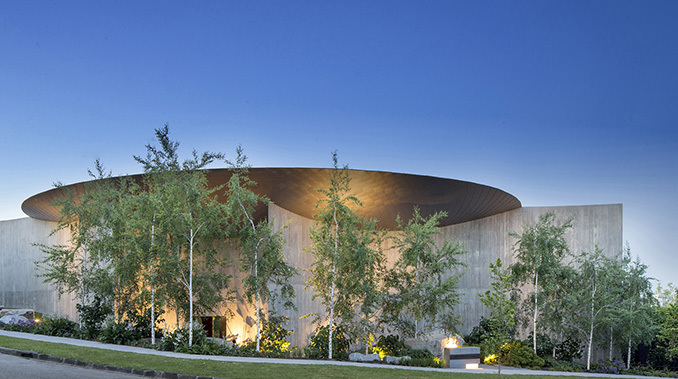 The white painterly bark and delicate foliage of Silver Birches at the property’s Towers Road frontage act as a foil against the monumental raw concrete façade and provide filtered views through to the building. 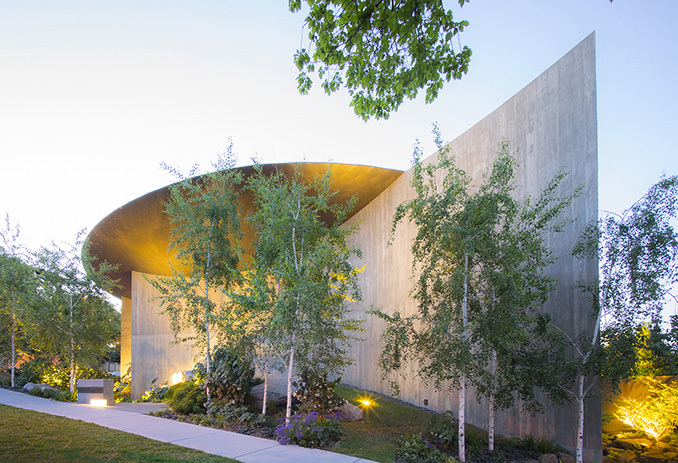 As the morning light emerges, a dappled light is cast across the concrete canvas. 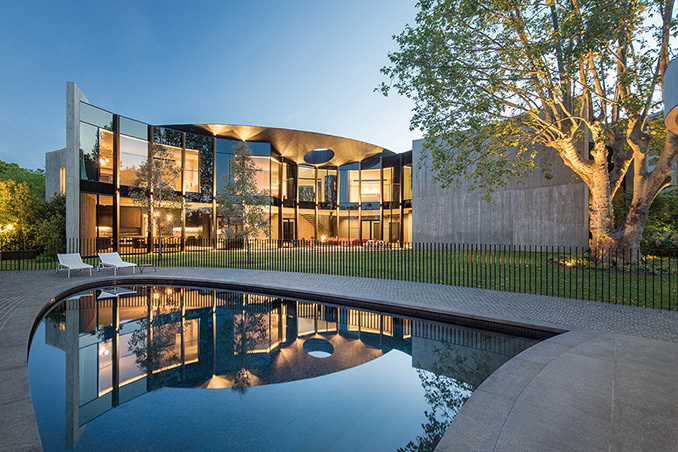 The interior of the house frames views of the central lawn, cabana, pool and extensive garden, beneath the canopy of an established Plane Tree. This rear garden is a rich and layered composition of seasonal evergreen and deciduous trees, shrubs, perennials and ground covers. The garden is navigated through arbours, stepping stones and secret pathways. 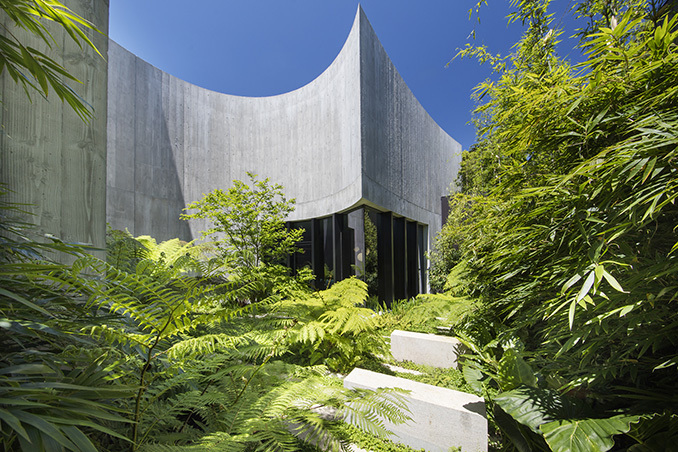 Along the south side of the house a lush circular fernery is nestled between the building walls. An array of layered plantings and a scattering of granite plinths create an exotic atmosphere. 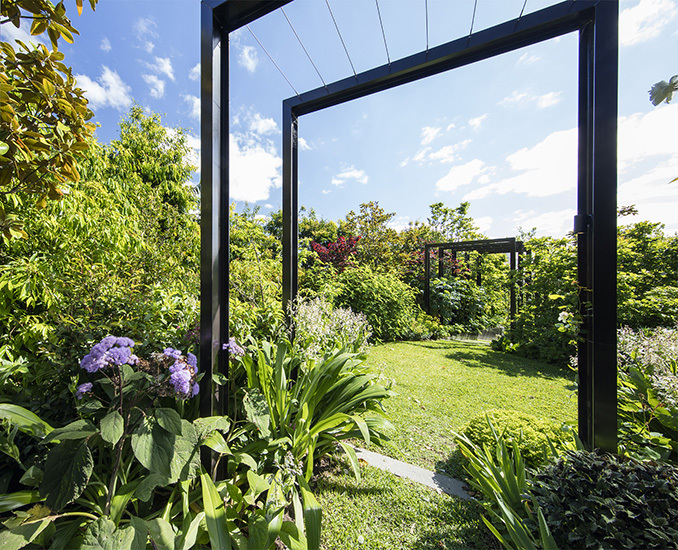 The success of the garden lies in the richness of plant form and function. Each moment is curated, and there is the sense of garden expanding beyond the limited bounds of the site. There are moments for play, relaxation and entertainment.